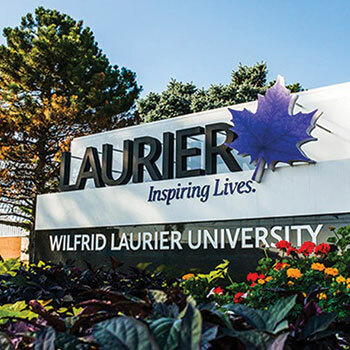 Wilfrid Laurier University will play a key role in a new Public Gatherings Task Force, announced April 13 by City of Waterloo Mayor Dave Jaworsky and Waterloo Regional Police Chief Bryan Larkin. Community partners – including Laurier, the University of Waterloo, students’ unions and emergency services – will develop strategies to reduce, and ultimately eliminate, large, unsanctioned public gatherings that escalate to the point where community safety may be compromised. These gatherings are not unique to the City of Waterloo. Many other cities are grappling with the same issues, and as with the recent unsanctioned gathering on St. Patrick’s Day, which police report attracted people from 37 different postsecondary institutions, are seeing increasing numbers of out-of-town participants. The task force will be co-led by the City of Waterloo and Waterloo Regional Police Service and will make recommendations focused on achieving three outcomes: reduce (one-two years), refocus (two-to-five years) and prevent (five years plus). The community partners assessed the cost of managing the unsanctioned street gathering on St. Patrick’s Day. Maintaining safety was a significant drain on university, municipal and emergency service partner resources. The combined cost was $713,500. This total included $191,000 in Laurier resources. The university spent $154,000 on safety and security, including Laurier’s Special Constable Service and hiring 283 extra security guards for the weekend. This cost is budgeted as part of the university’s safety and security operational costs. The remaining $37,000 is in existing salaries of staff who focused on safety and education planning before St. Patrick’s Day, as well as extra staff on campus and in Laurier’s residence buildings over the weekend. Visit the City of Waterloo website to read the task force news release, which includes a cost breakdown for all community partners.